Foxes are everywhere! 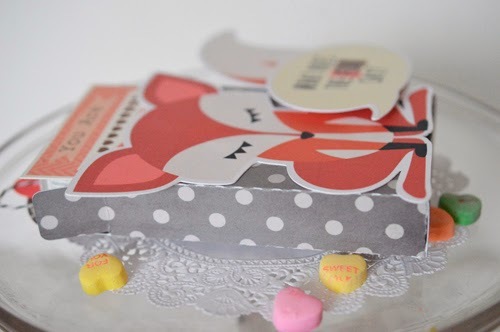 Here I am joining in the fox rage again with a cute Valentine idea. How about a fox box? 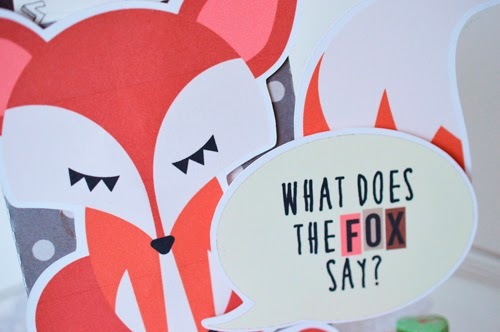 This cutie is from What Does the Fox Say found at Lettering Delights. This set is adorable and I just noticed it is on sale! Well, what does the fox say? 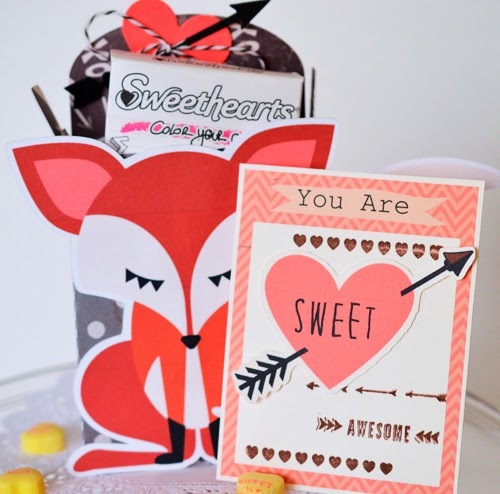 I used one of the journaling cards and heart images for the fox to say that you are sweet and awesome, too! The stamping on the journaling card is a cool retro rotary stamp called Make Note This and That from Stampin' Up. The box is from Silhouette and I sized it to fit a box of Conversation Hearts. 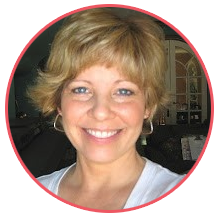 Don't forget - it is Sale-a-bration time at Stampin' Up. 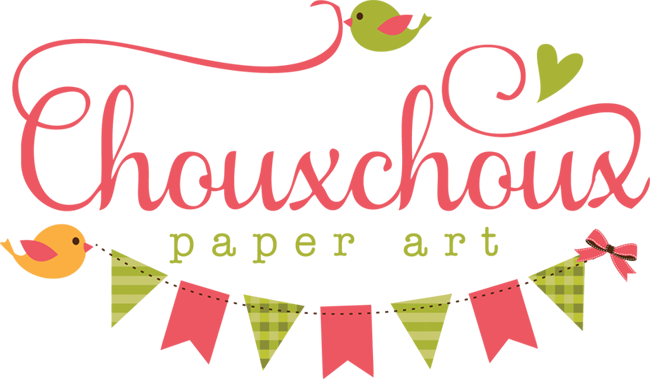 For every $50 purchase of Stampin' Up merchandise, you get to choose free items! One more announcement: I have added and will be adding more cool items to my Etsy store. I've got to find some time to take pictures! Check out the stamps and punches from Woodware of England. I have only one mini envelope punch left! It's heading toward the weekend - hope you have a nice one! Super cute!! Love that fox!! Love this fox!! This is just too cute!!! 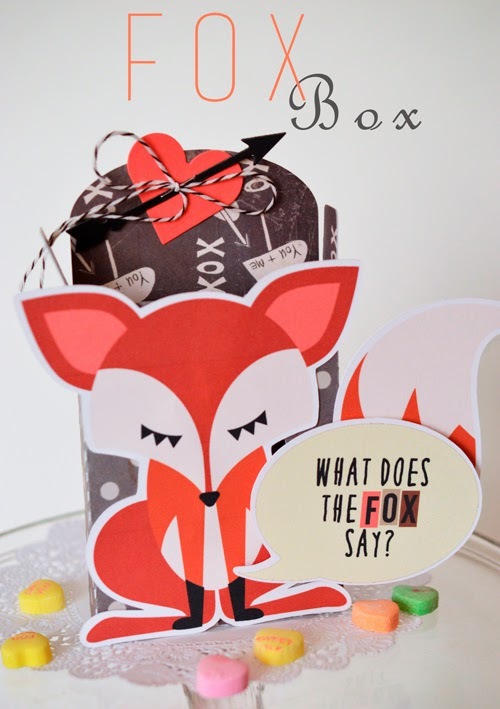 Oh my Lori , this fox box is adorable!!!! Too darn cute!! Love it! !